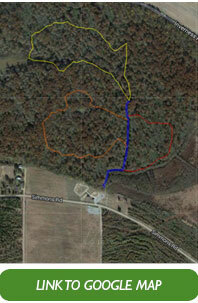 Wildlife Mississippi has developed a paddling trail through the heart of the Sky Lake swamp. 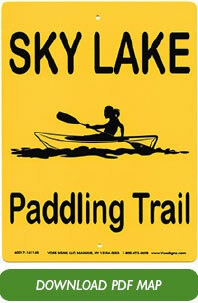 Paddlers (using canoes or kayaks) can enter the trail just east of the Sky Lake parking lot. The trail is divided into four main segments, each marked by a different color sign. The white trail is the main segment. It connects to three other segments. It covers 0.3 miles. Loop A has red signs and covers 0.4 miles; Loop B has yellow signs and covers 1.1 miles; Loop C has orange signs and covers 0.8 miles. Loop C takes paddlers near the boardwalk. The total trail length is 2.6 miles. The best time to paddle is from late fall to early summer, when water levels are highest. 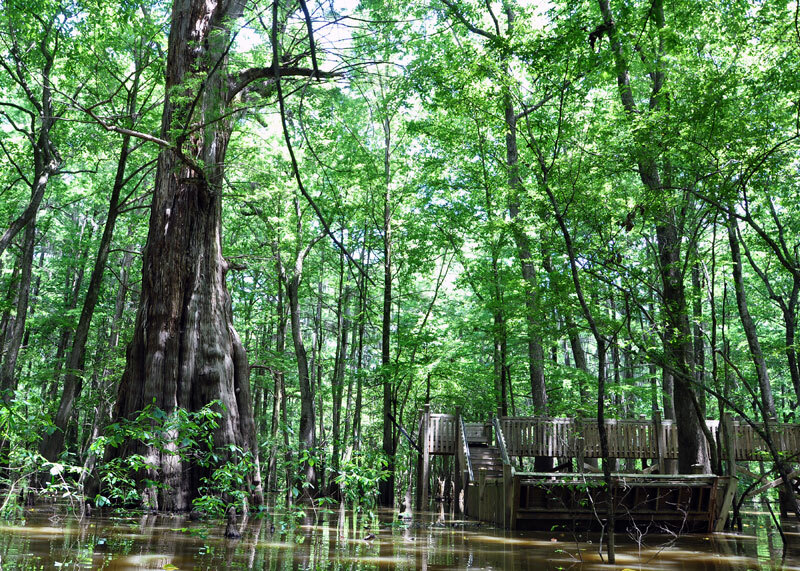 The trail affords paddlers spectacular views around the Sky Lake Boardwalk and the largest bald cypress trees. It also allows paddlers to enter the heart of the swamp away from the boardwalk.